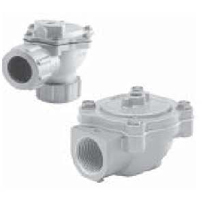 Pulse Jet Valves are right-angle valves, outlet at 90° to inlet with threaded connections which are particularly designed for dust collector service applications for reverse pulse jet filter cleaning. 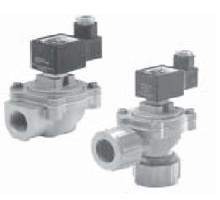 Pulse Jet Valves are right-angle valves, Outlet at 90° to inlet with dresser nut ports which are particularly designed for dust collector service applications for reverse pulse jet filter cleaning. 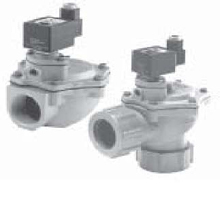 Pulse Jet Valves are the straight in valves, with the 180° angle between the inlet and outlet, Which are suitable for the installed connection between the inlet and gas dome, outlet and the blow tube to provide good air flow and dust clean pulses satisfying the requirements. 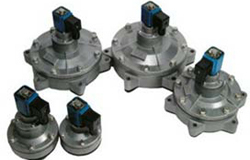 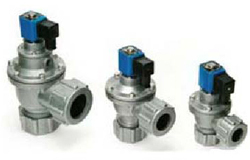 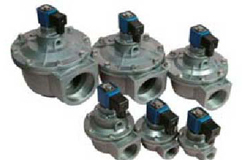 Pulse Jet Valves are embedded valves (also called submerged ones) which are directly installed on the manifold box. 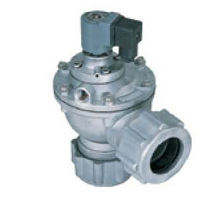 They have better flow characteristics and operate with reduced pressure loss, therefore, they are suitable for conditions where the pressure of the gas source is relatively low. 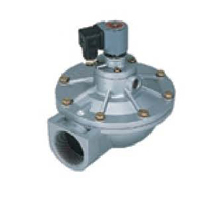 Very high performance diaphragm valve with flanged inlet port and slide seal outlet port for easy valve installation and removal. 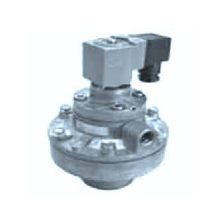 Available with integral pilot or as remotely piloted valve. 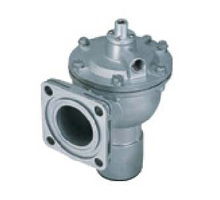 Outlet at 90° to inlet. 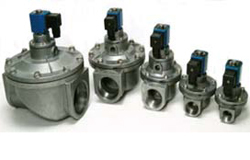 Very high performance diaphragm valve designed to be mounted directly into the compressed air manifold. 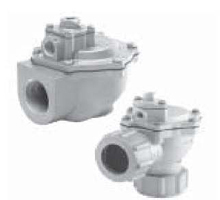 1" and 1.5" models are supplied with outlet pipes to length specified, 3" and 3.5" models are supplied without outlet pipes.